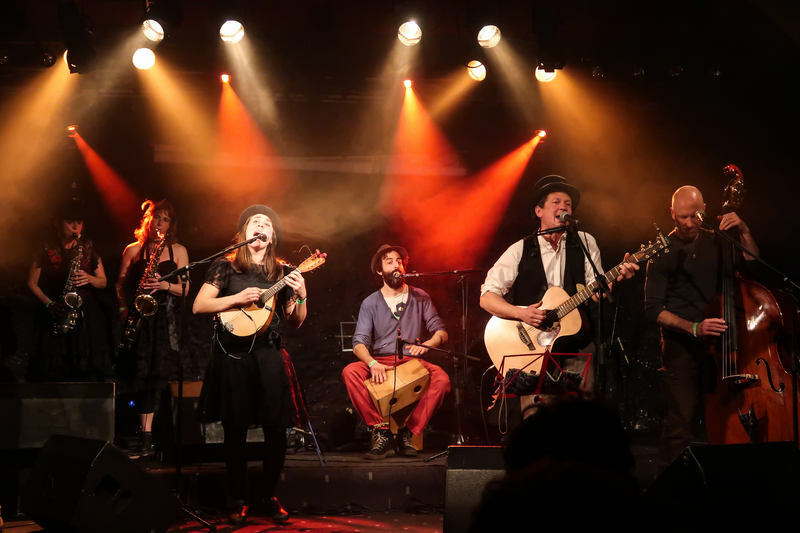 An effervescent blend of folk, swing, blues and americana, Fergus McKay & Nothing Concrete are a six piece international band based in the French Pyrenees. Add to the mix a tap dancing, lindy-hopping brass section and you have the ingredients for an unforgettable live show. Their 2015 album “Ever the Forager” received glowing reviews and radio play, and the 2018 follow up is due in the summer.